Today I have an interesting selection of products to show you from Bonjour HK, a Hong Kong based beauty store. It appears to be similar to Boots or Lookfantastic, offering a massive range of over 24,000 beauty and healthcare products covering skincare, make-up, fragrances, healthcare, hair care, personal care and accessories. 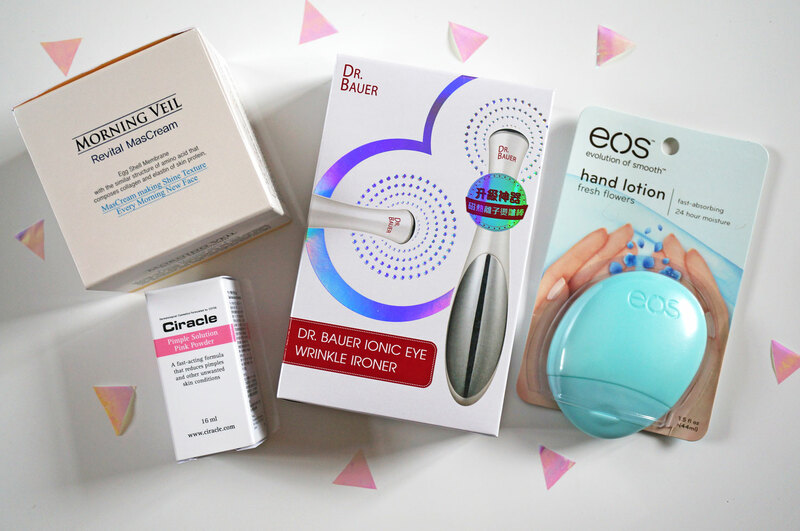 I literally have no experience with foreign cosmetics so I was really excited when they offered to send me a selection of their products to review! 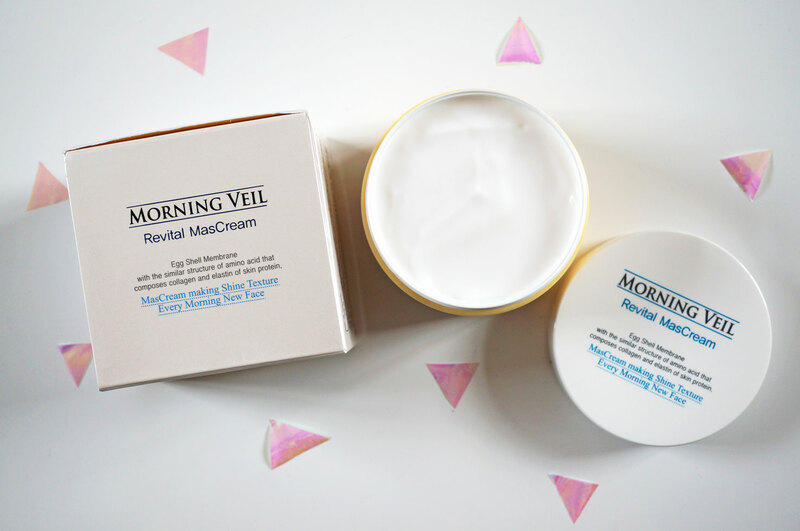 Morning Veil Revital MasCream combines both a mask and cream (the clue’s in the name) in one to keep the skin moist while gently exfoliating the skin. The concept of this cream comes from the eggshell membrane, which is an egg-cellent skin-healer (sorry I couldn’t resist!) Eggshell membrane is rich in glucosamine, chondroitin, collagen and hyaluronic acid. It also contains patented gigawhite, organic argan, acai oil, and sap complex from bamboo & birch to make your complexion brighter and clearer. So basically this is an overnight mask – and it isn’t eggy at all! It has a pleasant scent, and quite a fantastic light texture. You basically apply a thick layer to the face before bed, then just peel and wash off in the morning. I’ve used this a few times now and learned to apply a while before I go to bed to let the product dry a bit. It didn’t totally dry but was definitely better than going to bed with wet product on my face! When you wake up in the morning you just wash and peel the mask off and you’re left with super soft skin and a refreshed complexion. And it really works! This stuff is like magic!! 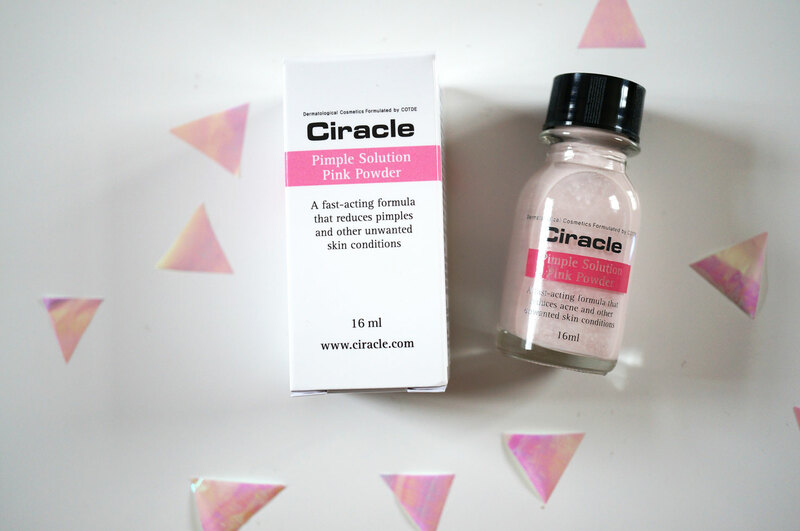 Next up is the Ciracle Pimple Solution Pink Powder ($28.21) I love the word pimple! Ha ha! This product is described as ‘The best pimple treatment that will stop wasted time searching for a treatment that works’ – big claims there! Ciracle’s Pimple Solution Pink Powder Treatment is supposed to relieve acne pimple spots and reduce the appearance of acne scars. It contains effective ingredients to treat your troubled skin gently. You simply dab the pink solution onto troubled spots, and let Ciracle do the the work. It should do it’s thing within a week, to reveal clearer, smoother looking skin. It’s also handy to know the solution is safe for both the face and the body and suitable for sensitive skin like mine. Basically you use a cotton bud to dip into the pink powder – the product separates leaving the powder to settle at the bottom half of the bottle, but the instructions say not to shake or mix up the separated ingredients. You then dab onto your spots on cleansed skin before bed, and leave to dry and wash off in the morning. I don’t really have spotty skin, but one little critter did pop up just after I received this product so I jumped on the opportunity to try the Pink Powder out! I followed he instructions and after a few days my new friend had all but disappeared. Would it have gone that quickly it’s own? I’m not sure. I do think the Pink Powder made it disappear faster! Next is the Dr Bauer Ionic Eye Wrinkle Ironer ($36.71) This interesting looking gadget aims to ‘iron’ out wrinkles and erase signs of ageing by using heat and ionic vibration. Its 40-45 ℃ heating effectively promotes blood and lymphatic circulation to revitalize skin nerves for firming purpose, helping reduce dark circles and fine lines. Active ionic vibrations relieve and ease skin tension, delivering nutrients deep into derma. Make your skin experience the firmness and relaxation effectively. To use, you apply small amount of skincare product (basically whichever moisturiser you’re currently using) around you eyes and mouth area, and the device works automatically once the massage head and moisture on the skin contact. You then gently massage over the area (three times for each area) to improve the appearance of your skin. Luckily I don’t have any wrinkles yet but I do suffer with puffy eye bags and dark circles. I’ve used the ironer a few times now and am yet to see any results. Maybe it requires more long term usage – I’ll keep you posted! And lastly the EOS Nourish Hand Lotion ($5.22) I’m a big fan of EOS lip balms so I was excited to try their hand cream out! 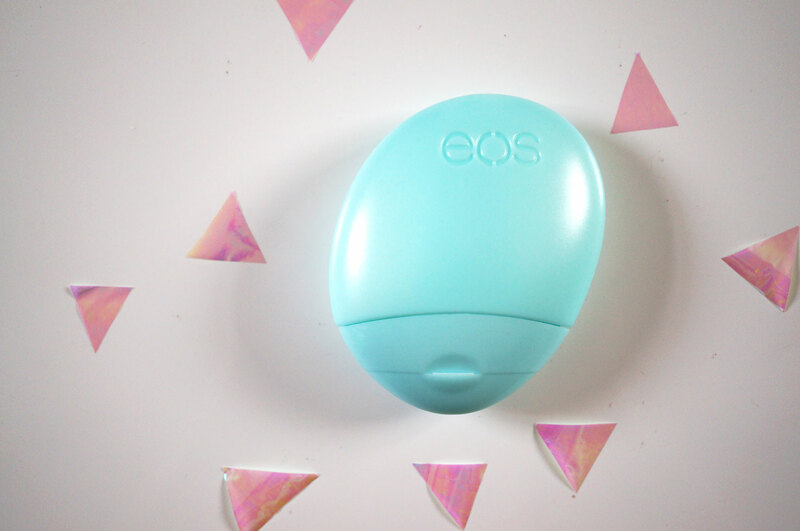 EOS Nourish Hand Lotion is lightweight, fast absorbing and non greasy. It is designed to fit in your purse, your pocket, or on your desk, and looks as good as it feels on your skin. Infused with moisturizing shea butter, oat extract, and a generous helping of antioxidants and vitamin C and E, EOS will leave your skin feeling soft, supple and radiantly healthy long after you apply it. I love the ergonomic shape and colour of the packaging, and the hand cream itself is one of the best I’ve tried yet. With a lovely scent, it’s definitely fast absorbing and leaves my hands feeling super soft and supple, it ticks all the right boxes for me. This is definitely a must buy for the winter months! Well if you’ve made it this far, well done! I hope you enjoyed my mini reviews and I’d love to hear your thoughts! Previous Post Glorious Ted Baker Christmas Gifts!